Located on the tip of Long Island’s famed North Fork and situated along the picturesque Peconic River, this hotel’s ideal East End location in downtown Riverhead affords numerous advantages, including a close proximity to large regional companies, to the county government seat, to a myriad of East End attractions, including not only the world-renowned Long Island Aquarium and Exhibition Center, but also the Long Island Wine Region, Tanger Outlet Mall, the LI Railroad Museum, the Riverhead Raceway, the famous beaches and towns of the Hamptons, and a variety of outdoor activities, such as golfing, canoeing, and kayaking. The waterfront Hyatt Place East End & Resort Marina has 100 state-of-the-art suites that offer water views, a 24-hour fitness center, indoor and outdoor swimming pools, a new seasonal poolside bar & grill, and more, including complimentary Wi-Fi access, a fitness center, a coffee and wine bar serving Starbucks® specialty coffees and premium wine, beer, and spirits, along with freshly made sandwiches and salads around the clock, in addition to the complimentary continental breakfast served daily. 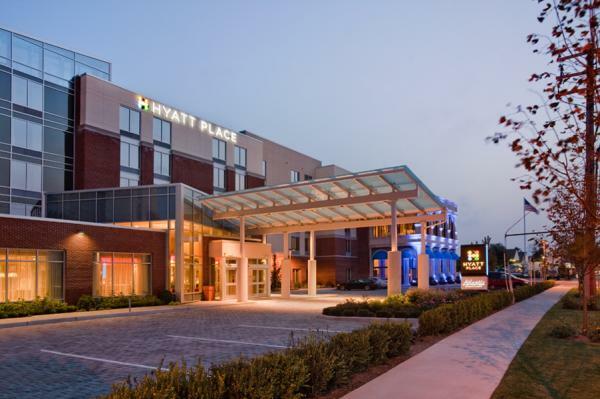 Located adjacent to Long Island Aquarium & Exhibition Centerand Atlantis Banquets & Events, home of the new, Sea Star Ballroom, the property offers eleven meeting spaces, with more than 17,000 square feet of indoor and outdoor meeting, conference, banquet, and event space.